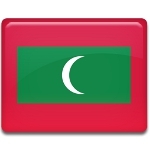 According to Islamic calendar, the first day of Rabi' al-awwaw is Maldives National Day. It commemorates the victory of Muhamadhu Thakurufaanu al-A'uẓam over Portuguese in 1573. In1558 the Portuguese seized Malé, the most populous city in the Republic of Maldives and the modern capital, and built a fort there. They killed Sultan Ali VI and set their colonial reign. But in 1573 Muhamadhu Thakurufaanu al-A'uẓam, the known military strategist at that time, arrived to Malé and saved it from the conquerors. Muhamadhu Thakurufaanu al-A'uẓam became the Sultan of Maldives after he had defeated the Portuguese and driven them from archipelago. He earned respect and admiration for his actions that led to restoration of Islam in the Maldive Islands. The first day of Rabi' al-awwaw is Maldives National Day or Gaumee Dhuvas that is celebrated to commemorate the memory of Muhamadhu Thakurufaanu al-A'uẓam who defeated the Portuguese. The military parades are common for the National Day and they are held in the capital of Maldives and on different islands of archipelago.